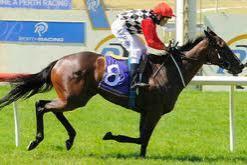 Congratulations to everyone involved in SPLIT THE FAITH who posted her first city win at Ascot ion Wednesday. The filly did this in emphatic style, leading throughout most of the run by 4 – 5 lengths and kicking in the straight to go on and score by 2 lengths over her nearest rival Talk And Tease, in the 1400m event. This now takes the filly’s earnings to over $35000 at just her fourth start.